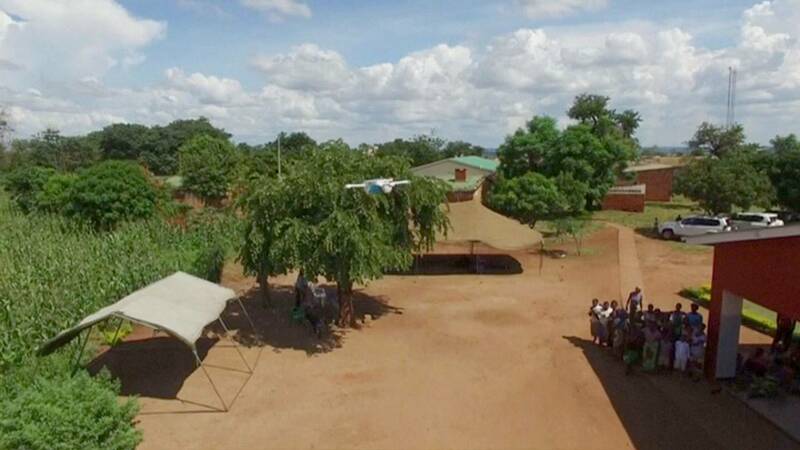 Unicef along with the Malawi government are leading a trial based on the use of drones to reduce waiting times for HIV test results in infants living in rural areas. Mothers are still waiting up to two months for those test results and that can be a very long period in an HIV positive infant's life. Malawi has a national HIV prevalence rate of 10 percent, still one of the highest in the world. Currently it can take almost two months to get samples from a healthcare facility to an equipped lab and for the results to be returned. The drone is able to carry up to 250 tests, or 1kg of samples, at once. The recent first successful test flight has completed a 10 kilometer trip from a community health centre to a hospital in the capital Lilongwe. Factors such as poor roads and high transport costs in remote areas cause delays in testing, preventing access to vital anti-retroviral treatment. “The results, once they are available, need to be brought back to the health facility and communicated to the mother and while many efforts have been made to shorten each leg of that continuum, we need to do better. Mothers are still waiting up to two months for those test results and that can be a very long period in an HIV positive infant’s life,” said Sherman. In 2014, about 40.000 children in Malawi were born to HIV positive mothers, according to Unicef. Every year around 10.000 children die of the virus, a number that could be tackled with early diagnosis and quality medical care.